This chocolate ice cream, that tastes like a fudgsicle, was made with the following recipe. Are you a chocoholic like me? I love chocolate so much, I consider it one of the basic food groups. (Believe it or not, I'm eating some as I write this.) I just can't seem to get enough! Just this morning, I had chocolate chip pancakes. 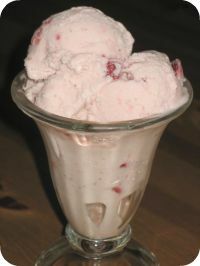 They would have been better with a scoop of ice cream on top , but all I had in the freezer was Spumoni and Mint Chip. I had to eat them with powdered sugar instead. Since I consume chocolate on a daily basis, It's good to know that it has some health benefits. 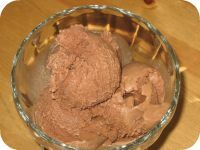 So, if you're in the mood for some chocolate, get ready to make this chocolate ice cream recipe. This recipe does require some cooking in order to dissolve the cocoa powder, but it's worth the extra effort. Remember, you can use this as a base to make other ice cream flavors such as: Rocky Road, Chocolate Brownie, Chocolate Chunk, etc. Make the recipe a day ahead, and chill in fridge overnight before adding to the ice cream machine. Be sure to use dutch processed cocoa powder and hersheys chocolate syrup to get the fudgsicle flavor. Mix all ingredients in a sauce pan over medium heat until the cocoa and sugars are dissolved. Lower the heat if needed to prevent milk and cream from scalding. Remove from heat and let cool. Pour in a container and chill in refrigerator for several hours or overnight. When mixture is cold enough, pour it into your ice cream maker and freeze according to the instructions it came with. This will take about 25 minutes. To add mix-ins like nuts, marshmallows, chocolate pieces, etc. Add them during the last 5 minutes of freezing. 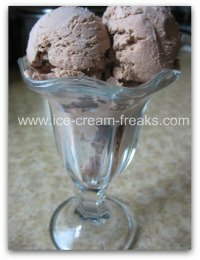 After mixing and chilling and before churning, put some of the chocolate ice cream recipe into popsicle molds and freeze until hard. 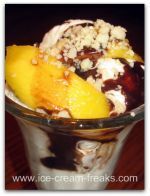 I did this with my soy chocolate ice cream recipe and it worked great! Just make sure you allow it to freeze for several hours. Please be patient as I add recipes to this site.